Since Elise Morgan left her father’s reality television show, Dark and Deadly Things, she put the ghost-hunting life behind her, able to comfortably watch from her couch. Her father has resorted to faking the hauntings that thrill America, but he could never fool Elise. She can see the dead. When the Halloween episode airs live on television, something goes horribly wrong. Four people end up dead, and Elise's father is the lead suspect in their murders. But Elise knows the truth. She watched the thing that crawled from the darkness. She just has to prove her father's innocence. Abel Hale was in the house when his family were slaughtered. He felt the cold breeze, heard the scraping of nails along the wall as the entity stalked them. The thing that killed the people he loved was not human. There is only one person who believes him, one person who can help him. Joining forces with Elise, they try to find the creature and stop it once and for all. There’s only one problem. How do you kill a ghost? Do not read this book in the dark... or alone! 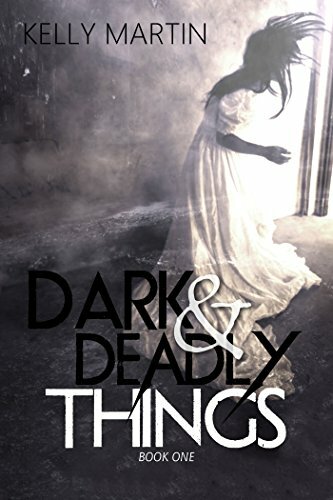 Dark and Deadly Things is the name of Elise's family business. They all together and in parts, ran a ghost hunting business called Dark and Deadly Things. Without major spoilers, the book starts with Elise watching her father and crew investigate the Hale home. The Hale family are divided with believing that there is a ghost in the home, so they allowed the show to come in and see what was really going on. Things are never as they seem, and there is a major tragedy that occurs during the interview, and it changes everyone. This is not for the better. From this point on, Elise and Able have more in common than not. Each one has their own "ghosts" to overcome from the past, they just don't understand how intertwined their lives have now become. I loved this book, but I had to stop reading it when I laid down. There are TONS of sarcastic comments and I live for them. I can totally see me as Elise with that sass just oozing out! HA! I suggest that if you want to read a real ghost story, one that will keep you turning the pages... grab yourself a copy of Dark and Deadly Things by Kelly Martin! You won't regret it! 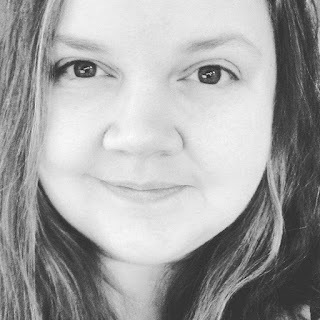 Kelly Martin is the bestselling author of paranormal, contemporary, historical, and YA books. She has been married for over ten years and has three rowdy, angelic daughters. When Kelly isn't writing, she loves watching horror gamers on YouTube, taking pictures of abandoned houses, then making up stories about why they might be abandoned.